Learn more about the Shih Tzu. Learn more about the Yorkshire Terrier Yorkie. 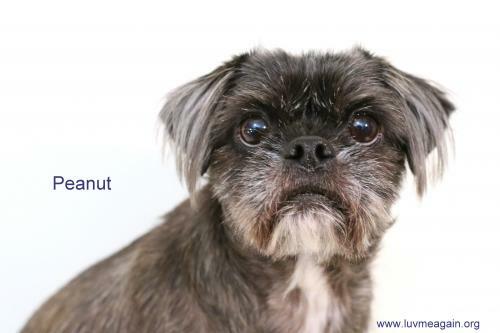 Print an adoption flyer for Peanut! About Me: I am a super sweet, awesome little companion. I LOVE to play with my toys and will steal other dogs toys if they aren't paying attention. I love to snuggle in bed and I really believe I am the perfect lap dog. Yes, I might be a little fat right now, but my foster mommy is going to try to help me with that. I promise to be your best friend. 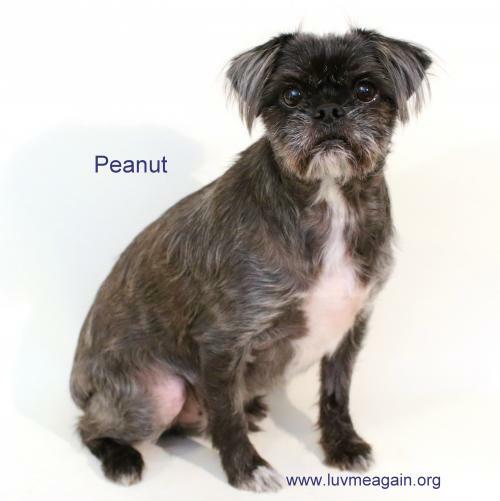 Currently we do not know if Peanut will be able to attend the event, Adoption Event on Sunday, April 17th, 2016. Currently we do not know if Peanut will be able to attend the event, Adoption Event on Sunday, May 1st, 2016. See Peanut's attendance information for future events.